Ok, so I took the first address book and card to work for everyone to contribute to before we gave it to our departing coworker and everyone loved it! "You should sell these!" Was something I kept hearing. So I went home and made 2 more, trying to see how long it would take and if it could be profitable. It took me about 5 hours to make 2 of these little beauties! So I would have to charge about $16 to make $5/hour and pay for the materials. I didn't think anyone would pay that, but one coworker already has, for $15! This is not something I would make and think I was earning alot, but if I just made some now and then to sell, and it didn't feel too much like work, I might do it. I can make much better money other ways and I always say work smarter not harder, but as long as this is still fun to make, what the hey! Why not. So this is ALmost Amethyst, So Saffron, and Vintage Violet. I didn't have ribbon to match, so I used reinkers to die some in each color. The ribbon in the ribbon slider looks more amethyst in real life. I shouldn't have taken this photo in the basement, I couldn't get the right lighting! I used the Cuttlebug Textiles embossing folder and rubbed the raised parts with Vintage Violet ink pad. This is the inside of the amethyst book, using Baroque Motifs set with the Saffron, Amethyst, and Violet inks. This is the So Saffron front, using the Stylized Flowers embossing Folder. I used Amethyst and Saffron dyed ribbons on it. This is what the pages look like on both books. There are lots of putzy little details in this project. I used a marker to distress the edges of every Round Tab punch, and stamped the starburst/flower thingy in 2 colors on the edge of each page front and back and there are 24 pages. I also attached the tabs with 2 eyelets each. I had to punch all the holes in all the pages and the covers, I could do 2 covers at a time and 5 pages at a time with my Crop-A-Dile, LOVE that thing! The hardest part was trying to find enough coordinating eyelets from my stash! And this is the inside cover of the Saffron book. I think I really like the alternating color thing. One of the nurses I work with is leaving us to go back to her home state, and I wanted to give her something to remember us by. So I made her a card and mini address book. I think they turned out pretty well! Here they are together. I decided to try making a Trifold Pocket card. I have never made a coaster book before but after a bit of fiddling it all worked out. I brayered some Close to Cocoa ink on the back of a sheet of textured Soft Sky paper to give it the 2-sided look. I still have a stash of the gold and silver elastic cord from SU and I tied it trough the eyelets, then tied the ribbon to the cord on the outside. That took me a while to figure out! I also made tabs with letters on them to help thumb through the addresses quickly. I had collected a bunch of contact info from people at work, typed it up on my break, then forgot to email it to myself! Ugh! I had planned to fill it all in before we give it to her. Oh, well, it'll still get in there, just not right away! Close up of the card. Close up of the address book. I might have to make more of these, now that I have it figured out! Inside view of the address book. It does open and lay flat easily. I was worried that it would be cute, but not functional, but it really is great! I hope my friend loves it! We had a great time at Retreat this weekend, stamped alot, laughed alot, ate alot, slept a little! ;) We definitely have to do this again, and next time I need to take a group photo! As it was, I didn't remember to take pictures of the challenge entries until right before the last few people left, so I only have some of them. Sorry Sara, Mary, Mary K., and Elli! Elli completed 16 pages! WOW! Deb proved her creativity this weekend, playing with her toys for the first time outside of Stamp Club... Sara joined our little family, Welcome Sara! She already makes beautiful pages of her darling boys. 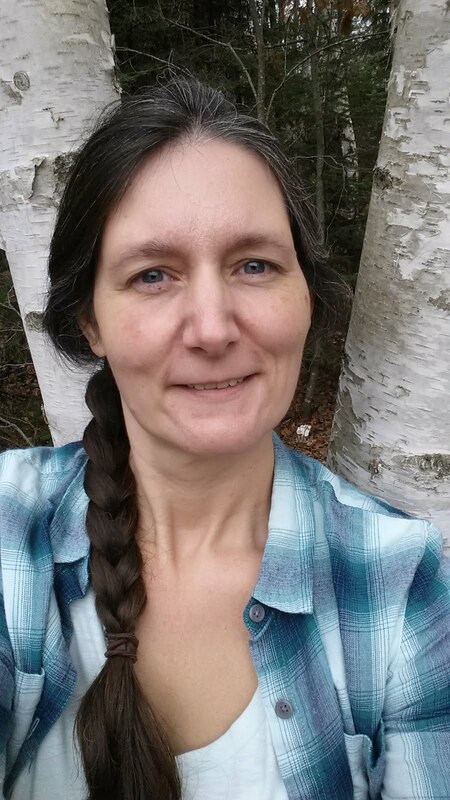 And Dawn, wow, I don't know how many cards you made, but you made a ton! Thanks soo much for bringing your stash to share! And these are some cards from our second challenge, Dawn, Kathy, and Sandy's. Great Job! Kathy even used the sketch! These are for the third challenge. Left top Dawn, left bottom Deb, middle 2 Kathy, right Sandy. Everyone used the sketch this time and Dawn and Deb used all the options! And what a creative way to include the squares Sandy! The top left is Kathy, top right Dawn, middle Sandy, and page on bottom Deb for the last challenge. Everyone does such a good job and I think the sketches were a hit! This is the nugget box that Sandy made when we did Stamp Club projects, LOVIN' the color combo of Teal, Red, and Choc Chip! Everyone got alot done, except me. I did 3 pages, yep just 3 lol! Maybe I'll post them later, but for now enjoy these wonderful ladies creations! I am posting a couple of the projects we will be doing on Saturday evening for Stamp Club at the retreat. I am so excited! Tomorrow will be a busy day setting up and getting everybody started on a fun-filled weekend! This is a slider card that I made with Mother's Day and birthdays in mind. The cutting and scoring will be a new thing for most of you. This is a view of the card open. You can stamp another image inside or write a message or both! This a close up of the scrapbook page we will be doing, lots of Spring color here and something new to do with cardstock! Ok, we have 10 people signed up for Retreat, still room for 3 people to spend the night, or a total of 8 more people at the tables. Anybody else that wants to sign up, I plan to go pay in full on Wednesday after I get off work, so please contact me ASAP and get your payment to me by then. We have 6 meals and 4 snacks to divvy up so let me know which one you want to do. This is a BYOB event also. I will bring some coffee, tea, and crystal light, but anything else is up to you. Please bring a water bottle so we can avoid open cups at the tables. And I promised a list of my Cuttlebug stuff so here it is! More Ways to Win at the Retreat! use some ribbon, fibers, fabric, twill tape, or felt for the "fluffy" stuff we still get, you know, that dirty word.... snow! Here is a close up of the title logo- fun to make! I Inked up the flame stamp with versamark then with the Summer Sun and the Pumpkin Pie, then stamped onto the paper. I did this several times, cleaning the stamp between each image. Then embossed with clear EP. Makes it kind of shiny in real life. And a close up of the flames. Fun to make, but time consuming! I would have been better off using the sewing machine to stitch the ribbon down. I think that took me 45 minutes! I got to play, finally! So, I stopped brainstorming for the big weekend and started looking at my stash of pictures that need to be scrapbooked. This has been in my stash for years! It's one of those special pictures that you just know you have to be in the right mood to do it justice. I hope that I did! Stamps: non SU alpha ??? As Geoffrey looks at this picture with me today, he says " That was Lilly before she was such a horse!" This was when Lilly was about 9 months old and Geoffrey was about 6. Geoffrey carefully put the stethoscope in Lilly's ears and then said " Can you hear my heart Lilly?" She seemed to listen very hard until Geoffrey was ready to take the stethoscope out of her ears! I am very glad he used Jamie's stethoscope instead of mine, hehehe! Charlene was invited to bring 2 paintings to 2 different art shows this weekend. This is the painting she submitted to the High School Invitational at the Bemidji Community Art Center. She is still trying to come up with a witty title for it, hehe! I love it! LOVE IT! This is the painting she entered in the Women's Art show at the Wild Rose Theater here in Bemidji. Charlene says this painting represents bearing fruit and life and is calling it "The Giving" Isn't she talented! All I do is play with paper.... Charlene humbles me with her God-given talent. Yes, I know, I'm her mom. I'm supposed to feel that way! But gosh, isn't she good! I just updated my list of the Stamp sets, Wheels, Backgrounds, and Punches I have and thought I would share it with you so that you can get a preview of all the goodies available for use during our retreat :) I'll work on my list of Cuttlebug accessories and stuff later today. I did try to make this take less room, but I couldn't make it happen. Sorry! Ok, I guess I better do a little background for the people who are new to my blog or Stamp Club about this retreat we have coming up! 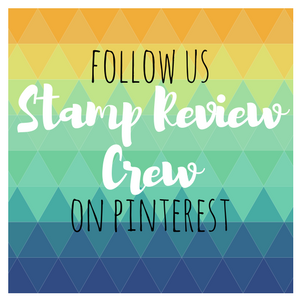 I am a Stampin Up! demo on a very small scale. 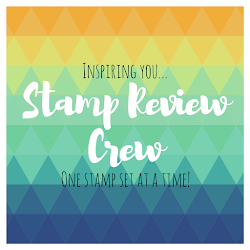 I have one Stamp Club that meets monthly, rotating hostess benefits and homes each month. We generally do 1 scrapbook project, a couple cards, and a 3-d project, and have a $15 product minimum order/person. But the rest of the weekend is totally not aimed at being Stampin Up! sales, just having fun! So, if you are interested in coming just let me know! I believe I have 6 spots filled at this moment with several "maybe, let me check my schedule" replies. Remember that there are only 13 sleeping spots open, and I just called to clarify how many beds that is! There are 10 beds, not 11, so to sleep 13, 6 people would have to double up on 3 beds. I have the next few days off and I plan to come up with more details on these projects I keep promising! Well, the date is fast approaching (April 18-19) and it is time for me to start getting VERY organized! I have already contacted some of you to find out for sure who can make it. If I haven't gotten a hold of you yet, please let me know! I just talked to Mary, the owner of the Quilted Loon, and there is enough room for up to 18 people with 4 feet of table space per person! There is only enough room for up to 13 people to sleep in beds, and 4 people would need to share beds 2 beds, one is a full size I believe, and the other is a King. Otherwise there are 11 beds. So the rest of those spots could be for people who can't spend the night but would like to come anyway. Once I have a list of people committed to this, then I will organize a "potluck" schedule/list to cover our meals. And find out if we all want to pitch in for Pizza delivery for a meal! Also, I plan to bring all of my stamp sets, my Cuttlebug with dies and embossing folders, my Coluzzle and Creative Memories cutting systems, my punches, and all of my stamp pads. Everyone can use them and maybe we all can pool our non-consumables and have an enormous variety of stuff to play with! We'll also have a door prize for each day and some games to play too! Nothing will be mandatory, but if you have some supplies you would like to donate to the drawings, I sure won't turn you down! I want to share one of the specials I will be having during the retreat. I have some extra stamp sets from Sale-A-Bration this year and last year, and a couple other new unmounted sets that I will have for our own Sale-A-Bration. What does this mean? It means that if you order at least $50 in merchandise, then you get to pick one of those sets for free! This will be on first come first serve basis! receive the coordinating jumbo wheel absolutely FREE (an $8.50 value)! projects—and I’m excited to show you how. I'll keep adding more info as I can find the time to get it posted!